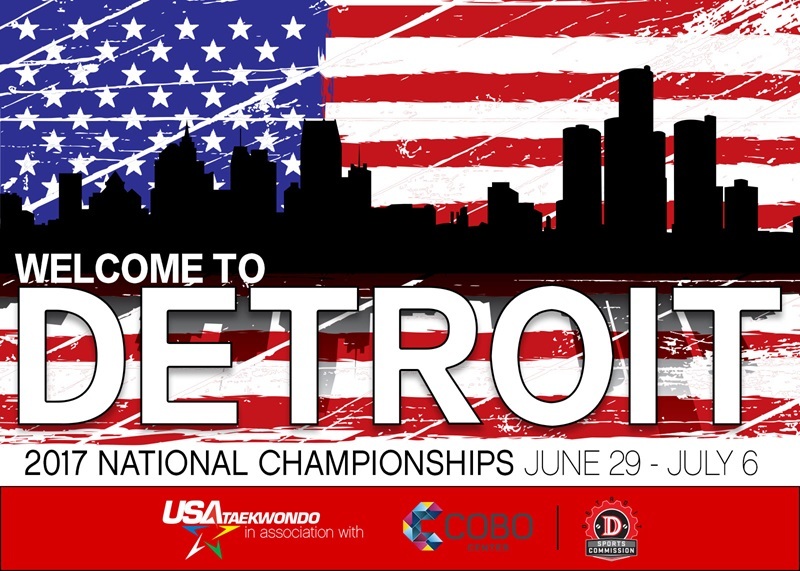 USA Taekwondo can today confirm that the 2017 National Championships will take place at the Cobo Center in Detroit on June 29 - July 6, 2017. The world's largest Taekwondo tournament will return to the midwest's Motor City for the first time in 9 years, and following one of the most successful Nationals ever in 2016 we are expecting to raise the bar even higher next year! We'll have much more information on the tournament and its host city in the coming months, and wanted to get this first step - confirming date, location and venue - out for you as soon as possible, to allow you to plan your trips and schedules in good time.